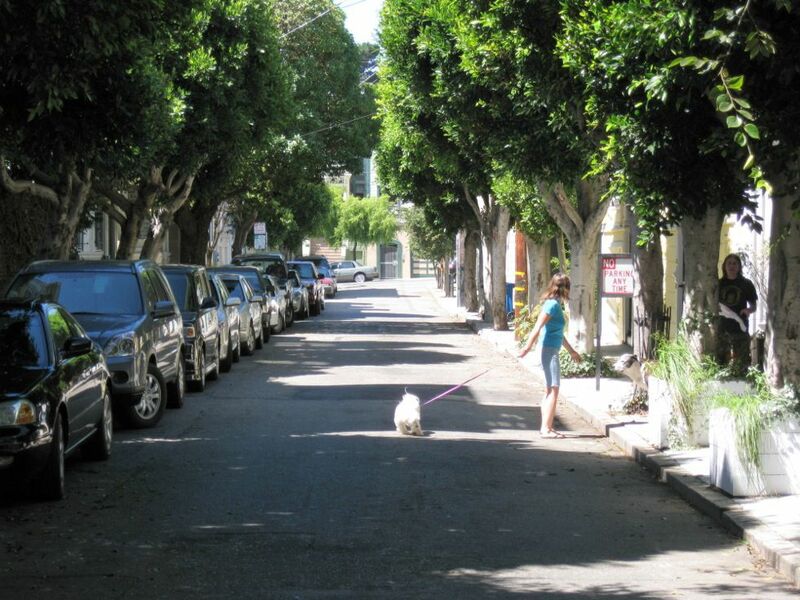 Local streets in residential neighborhoods are often underutilized as spaces for play and leisure. These streets should provide safe and inviting places to walk with direct access to local stores and schools. 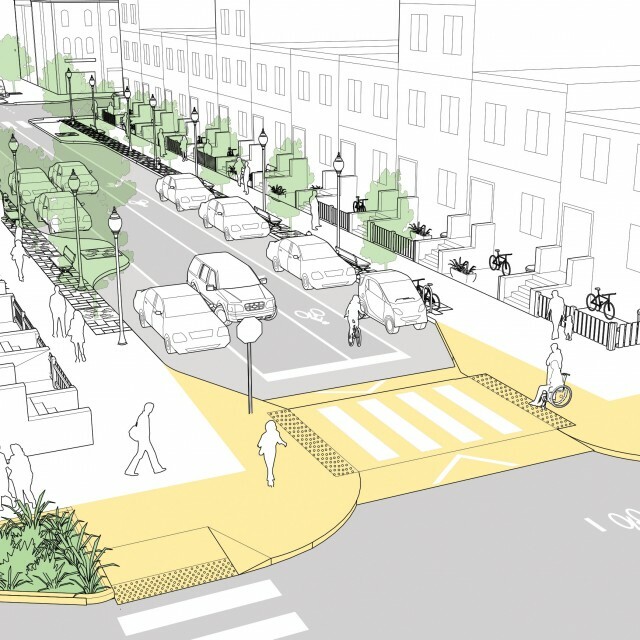 Design for local streets can combine stormwater management features, curb extensions, vertical speed control elements, and bicycle facilities that encourage safe speeds and meter through traffic. 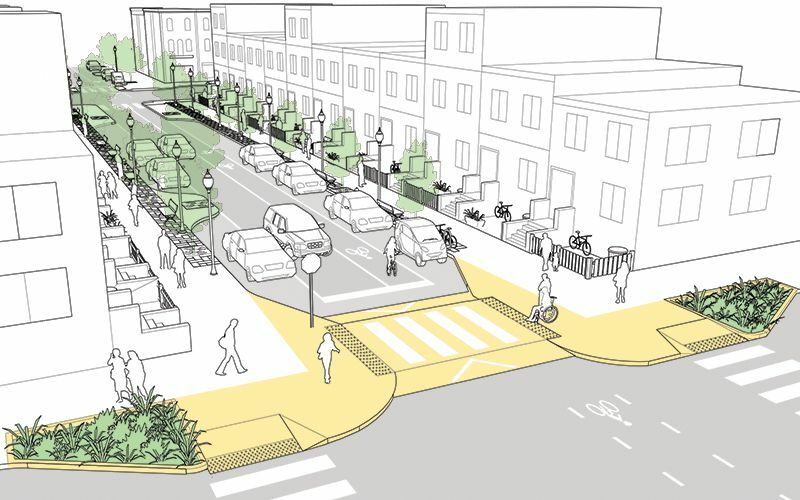 The street illustrated below depicts a 30-foot roadway within a 50-foot right-of-way. 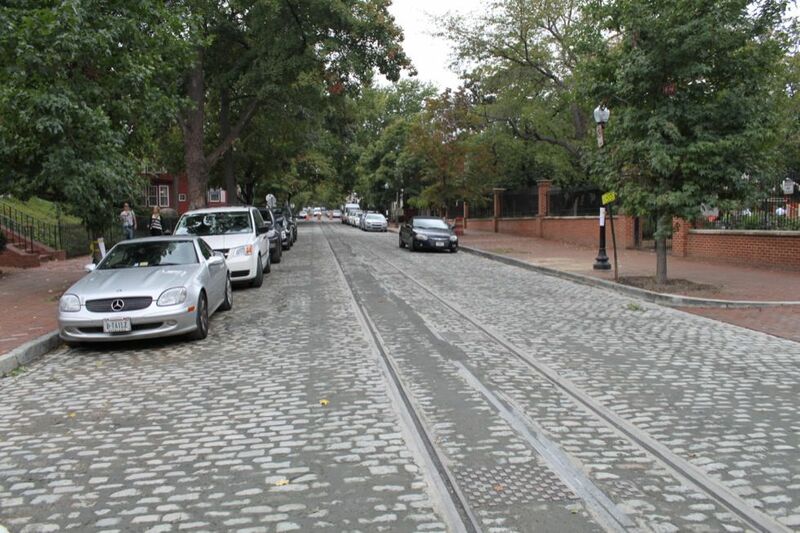 1 On 1-way neighborhood streets, travel lanes may be striped to narrow the perceived width of the roadway. An undifferentiated traveled way encourages higher speeds. Crash rates have been shown to increase as lane width increases. New York City DOT's Slow Zones program uses striping and signage, including interim gateway treatments, to emphasize slower speeds in 20 MPH zones. 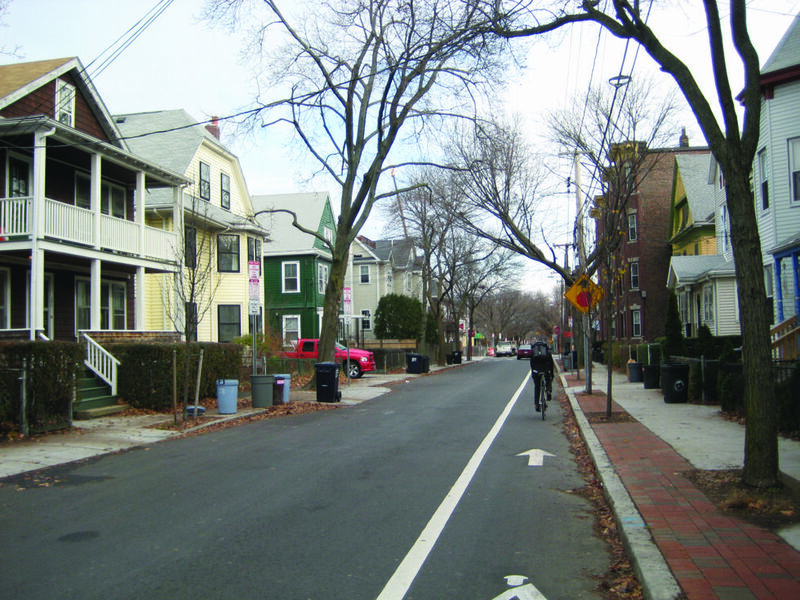 2 Left-side bike lanes reduce the risk of dooring conflicts and are an effective treatment for most neighborhood streets. 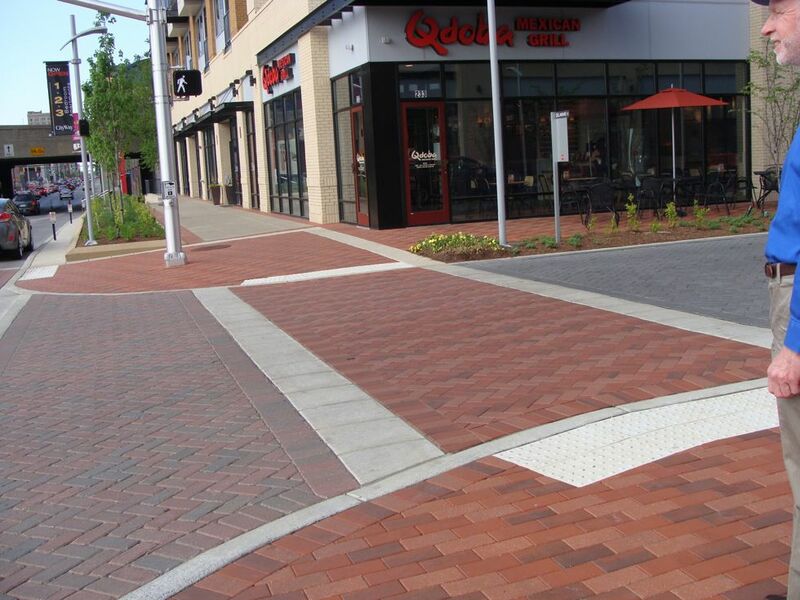 Raised crosswalks have been shown to increase motorists’ yield rate by as much as 45%. “Raised Pedestrian Crosswalks,” Safe Routes to Schools Guide (Safe Routes to School, 2012). Ballard, A. J., and D. M. Haldeman. 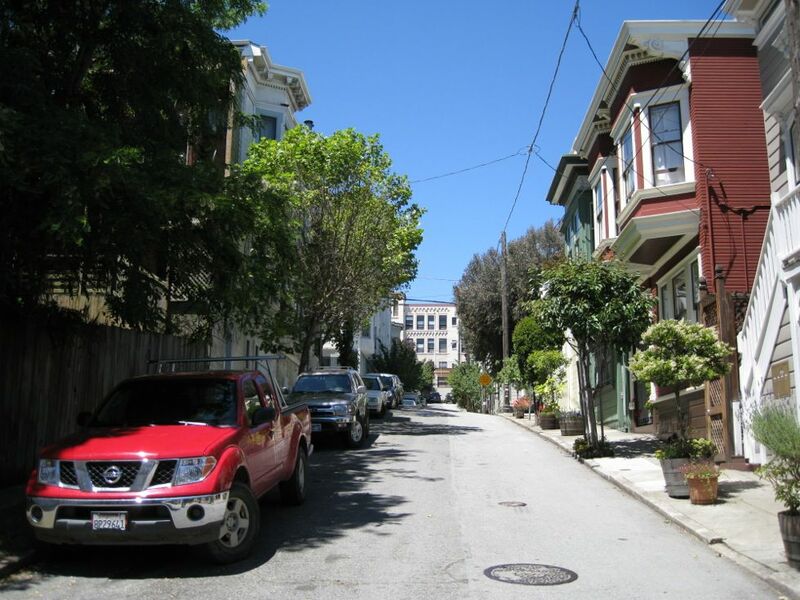 "Low Speed Design Criteria for Residential Streets." Presented at Today's Transportation Challenge: Meeting Our Customer's Expectations, Palm Harbor, Florida, March 24-27, 2002. Ben-Joseph, Eran. 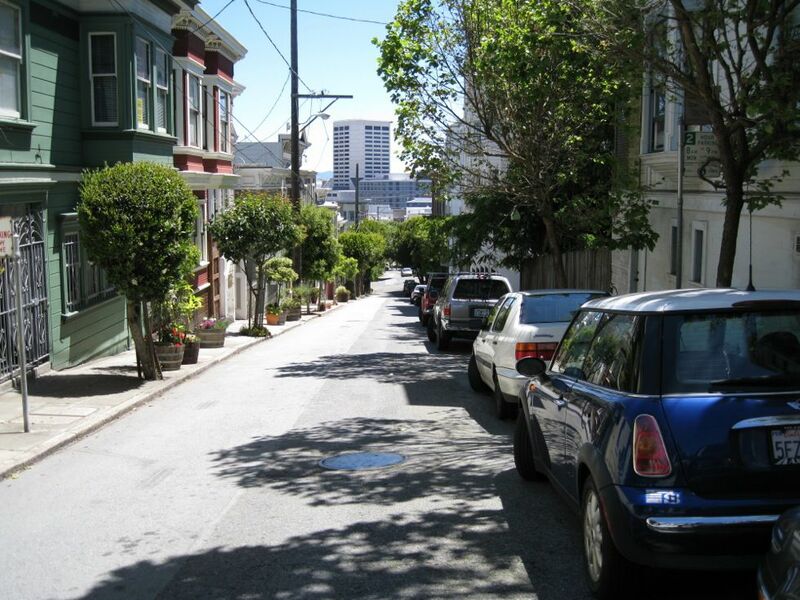 “Residential Street Standards and Neighborhood Traffic Control: A Survey of Cities' Practices and Public Officials' Attitudes.” Berkeley, CA: Institute of Transportation Studies, University of California at Berkeley, 1995. ERM Mitchell McCotter Pty Ltd. “Livable Neighborhoods: Street Layout, Design, and Traffic Management Guidelines.” Western Australian Planning Committee. State of Western Australia (2000): 1-59. Horizon Planning. 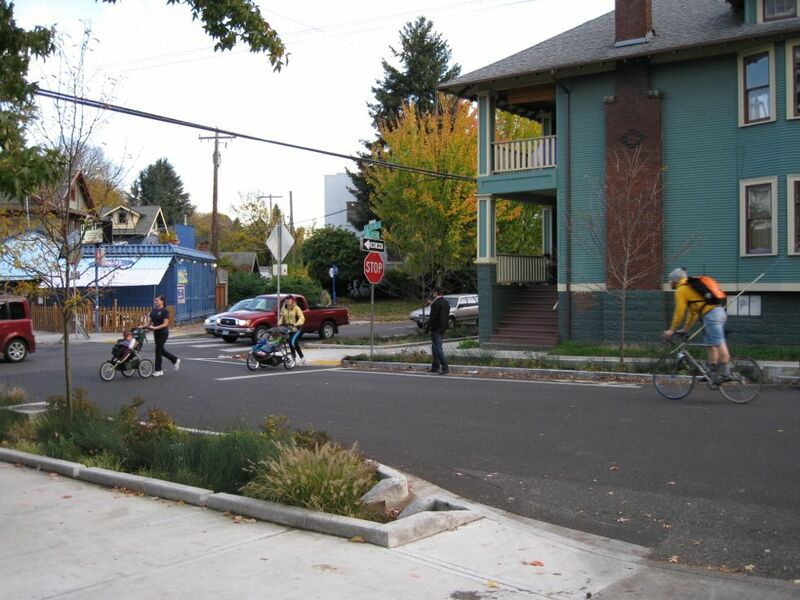 “Neighborhood Main Streets Existing Conditions Report.” Milwaukie: Portland State University, 2012. Neighborhood Streets Project Stakeholders. 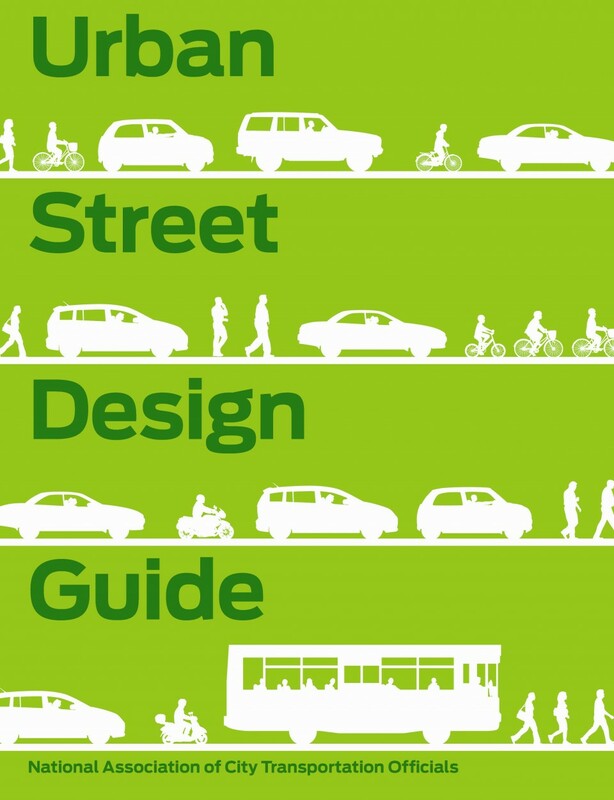 Neighborhood Street Design Guidelines: An Oregon Guide for Reducing Street Widths. Oregon: 2000. Pedestrian and Bicycle Information Center. “Raised Pedestrian Crosswalks.” Safe Routes to School Guide. University of North Carolina, 2007.